Math is everywhere, including at the grocery store and in the kitchen pantry. Harnessing that, teachers and students at Branlyn Community School are using everyday scenarios to bring math lessons to life in vivid – and delicious – ways. 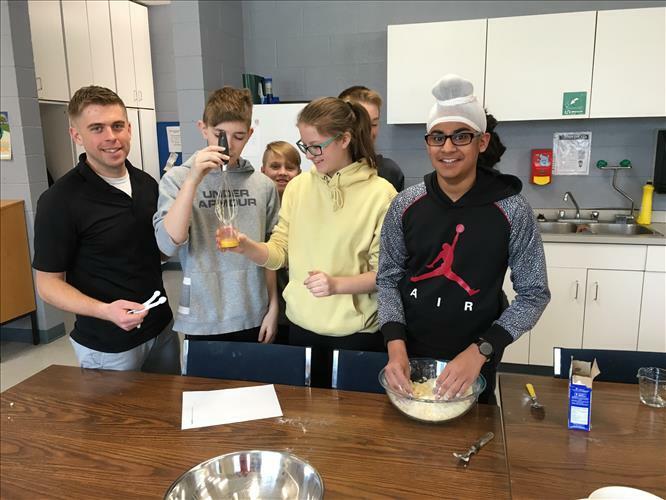 One recent math lesson saw Intermediate students applying their understanding of fraction conversion to plan and prepare meals for a large group of people. 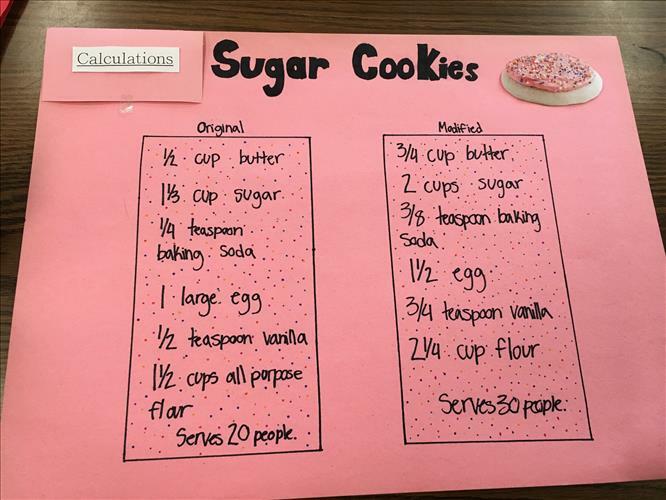 To carry out the activity, students were asked to choose what they wanted to bake, but then modify the recipe in order to feed 30 people. The result was a tasty snack to share with classmates, and increased understanding of the mathematical concept. Combining design, culinary science, management and teamwork skills along with the necessary mathematical knowledge, students created recipe cards, and then made a plan to carry out the actual meal preparations. Throughout the process, students were highly engaged and hands-on in all aspects, especially at the end when it was time to sample the results of their multi-disciplinary effort. The overall goal of creating the real-world lessons was to show that math isn’t just an abstract concept, but is actually used in a variety of aspects of daily life. The lessons tie into Grand Erie's Multi-Year Plan, and its Achievement indicator, as well as echoing the Renewed Math Strategy by providing a strong foundation in mathematical language, structures, operations, and processes to provide students with a framework and tools for reasoning, justifying conclusions, and expressing ideas clearly.